After spending much of my childhood on the Klamath below the town of Orleans, I finally made the venture upriver to run the section above Orleans called The Ikes Falls. 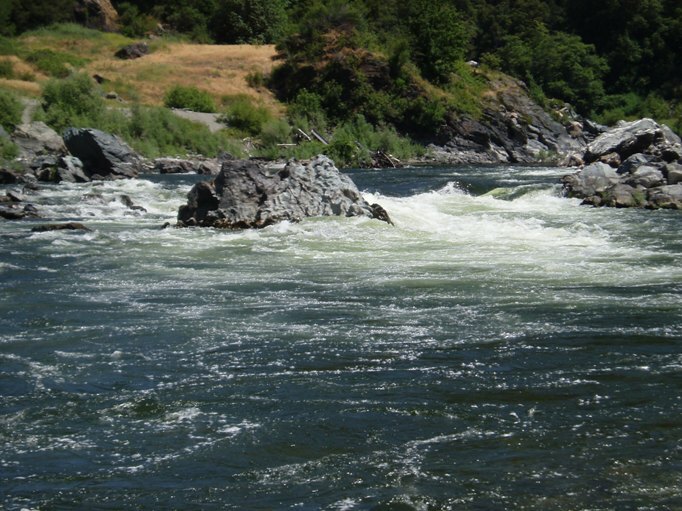 Upon pushing off into the water the foul smell that is the Klamath came rushing back to me bringing along with it the memories of my youth. In all, this run was fun. I really wish that there was a take out after the first few miles. 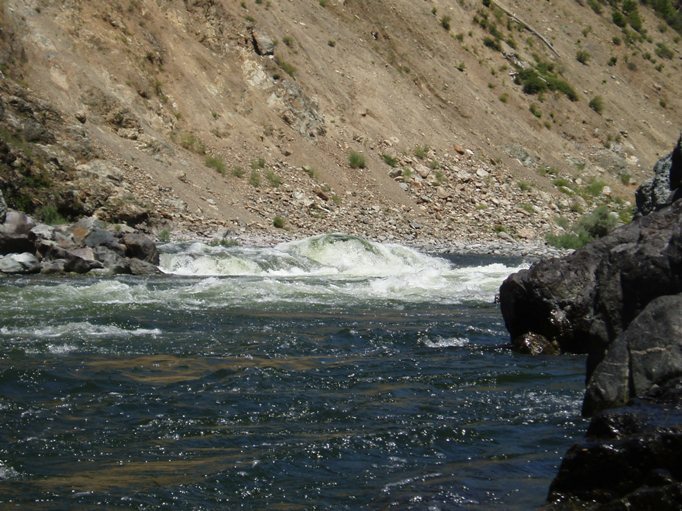 All the action is at the beginning before the river completely flattens out. 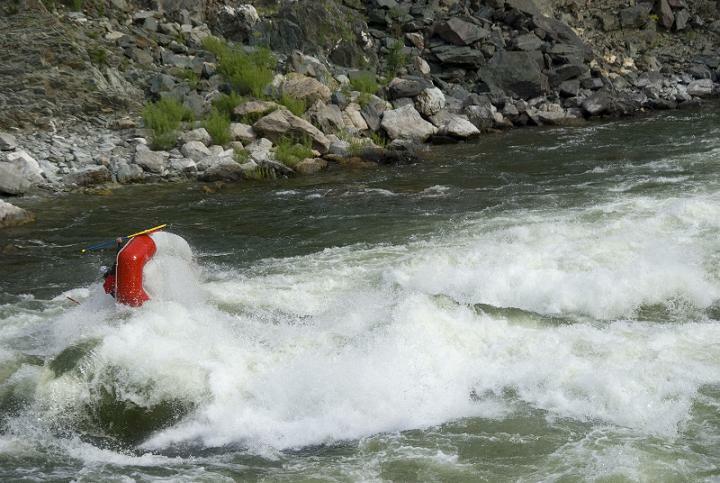 While there is action, it is solid III to III+ at 3,450 cfs and I am sure with more water can become even hairier. 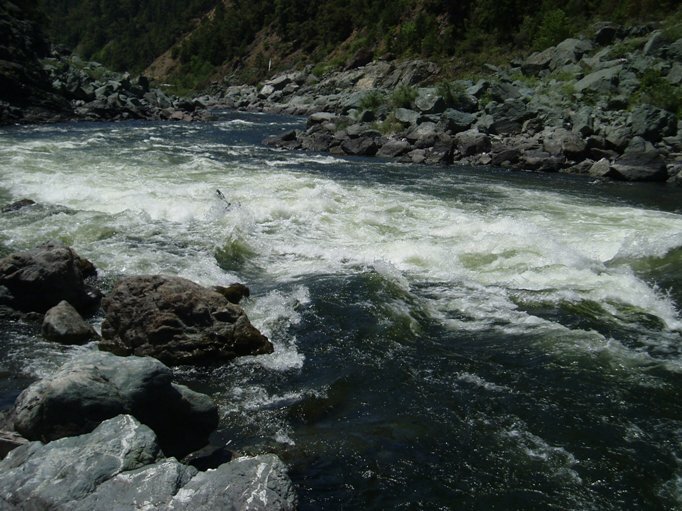 Once the last rapid comes, the river completely flattens out to class I. Our day on the water we were lucky to have a down stream wind help us which allowed us to make the paddle out in just about an hour. 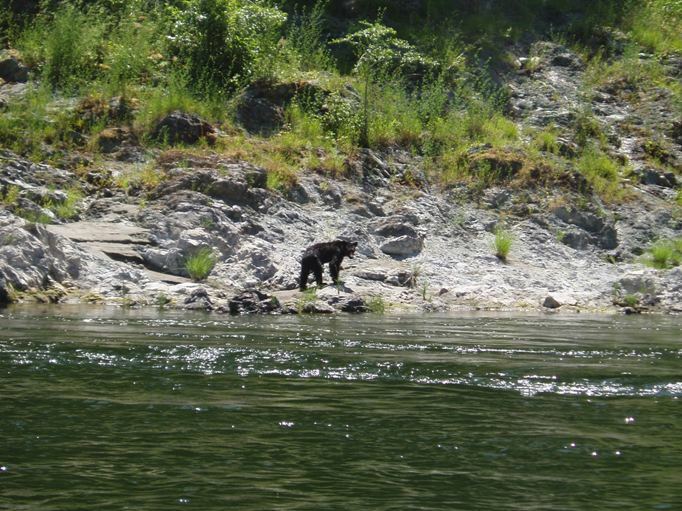 The final thing, although the road is never far away, you still manage to have a feeling of remoteness, in fact on our day out there within 30 seconds of each other we saw a Bald Eagle fly over head which then brought our attention to a Black Bear standing on the shore. 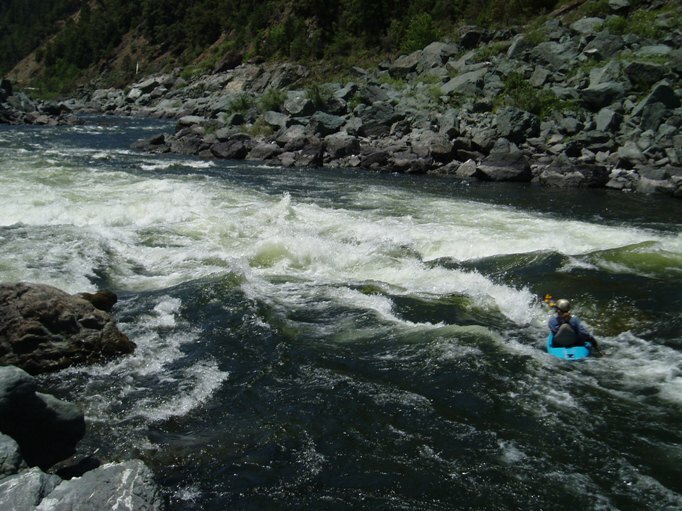 So in conclusion, a great run to do if in the area (say for the Salmon or Lower Klamath above Ishi Pishi Falls upriver) however from my folks place in Weaverville I felt the run was a little lackluster to justify the 2 hour drive. 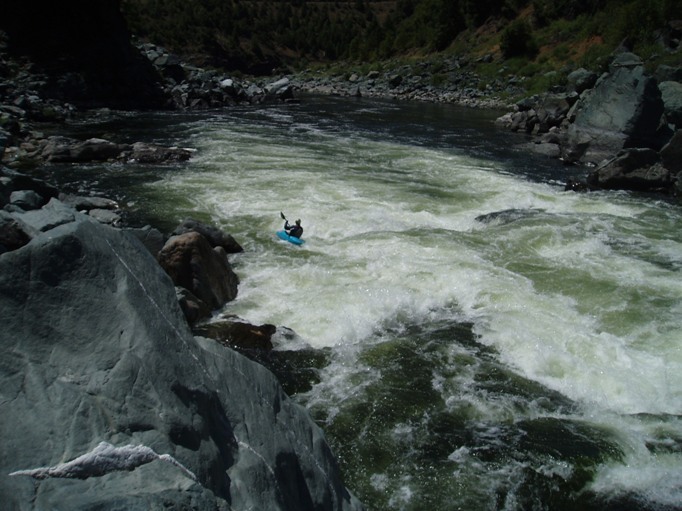 I have been told though that at 10,000 cfs this run is great fun for the big water enthusiast. Anyways, enjoy. Little Ike (III+). At the end of the first mile comes the first big rapids. The river starts dropping and leads you straight into a house size rock. In front of the rock is a cushion which makes a massive hole and behind the rock is a 4 foot boil pile. Try your hardest to get left. In my mind this was the most consequential rapid on the run, at least at our flow that is. Big Ike (III+). An easy line existed on the left. There were two large hole in the middle of the river, as water comes up more these large holes would go from large to massive I think. Little One below (II+). 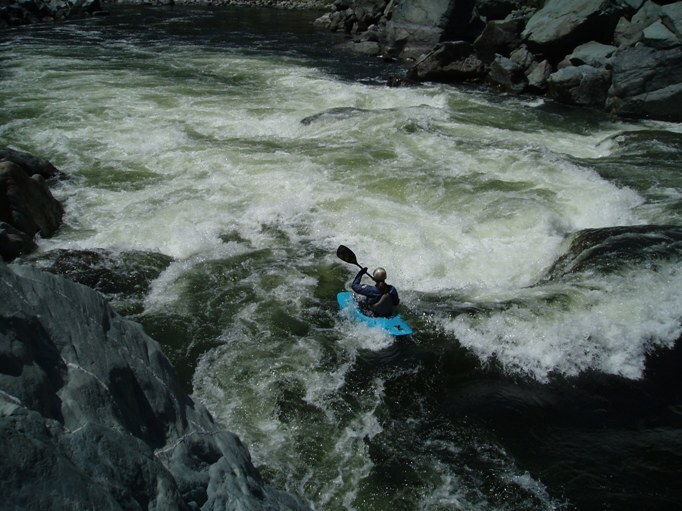 A little rapid below is easy enough to figure out. Big Waves (III-). A nice wave train with some large waves leads to the final wave which looks very promising for play. At our flow it was just a bit too flushy. There are a few class II+ rapids which are entertaining in here. Kinda Like Ike Falls (III-). 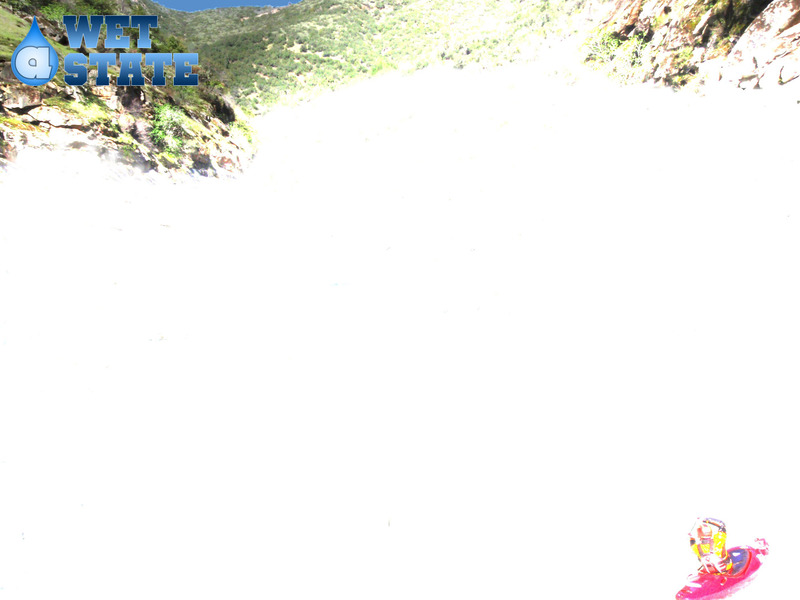 A rapid whose left side was similar to Ike Falls, this is the side we took. There was a decent catch on the fly hole part way down the left side. Super Ike (III). 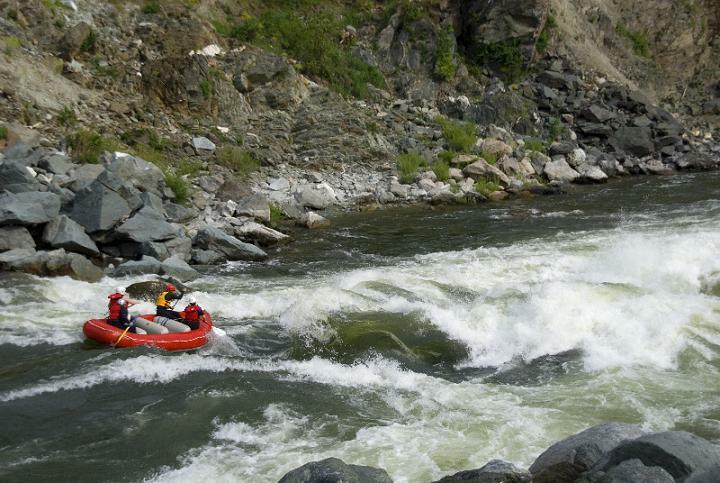 There was a nice boof on the right wall, however at higher flows it would stomp you. In the middle was a massive pour over which scared me just boating by it. On the left was a straight forward rapid, just keep off the wall. Flat from here to take out besides the occasional class II rapid. 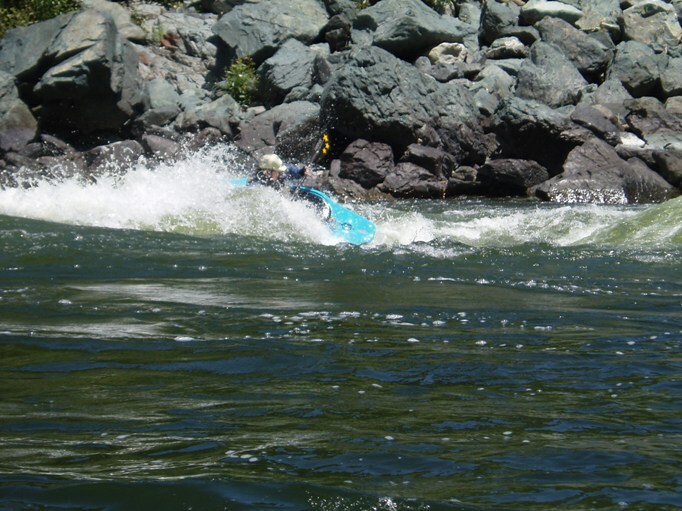 Take Out: Drive on 96 North out of Willow Creek down the Trinity and then up the Klamath once you reach Weitchpec. Arrive at the town of Orleans. On the far side of the town there is a bridge which crosses the river. Take out below it via a road on the right just past the bridge. Put in: Continue up 96 to the town of Somes Bar. Just past the store on the left follow the signs to Ishi Pishi Bridge. The signs tell you to turn left just past the store and continue down to the bridge about a half mile on a paved road. Just past the bridge there is a dirt road which leads the 100 yards down to the water.